Whether you're writing a paper, an examination answer, a thesis literature review or simply wanting to learn more about a topic area, it's very important to be able to bridge the gap between theory and practice within psychology. A very useful way of doing is to read and draw upon psychology news articles, so the aim of this page is to point you in the direction of the best places to do just that. With Google Scholar you can search across many disciplines and sources: peer-reviewed papers, theses, books, abstracts and articles, from academic publishers, professional societies, preprint repositories, universities and other scholarly organizations. Click Here to visit Google Scholar. 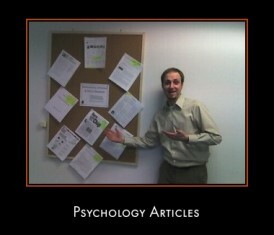 Very popular information resource where you can search for an access a wide range of psychology articles. According to the website, many of the articles have been written by, and rely upon information provided by, Doctors and Ph.D.'s who have dedicated their professional lives to the promotion of sound psychology for the benefit of the communities in which they live. 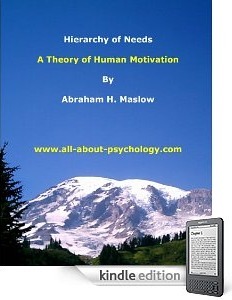 Click Here to visit the Psychology Today website. Scribd is a document sharing website described as a big online library. It's stated that part of the idea behind Scribd is that everyone has documents sitting around on their computers that only they can read but Scribd can unlock this information by putting it on the web. There are over 1000 psychology related documents on Scribd, so there is a very good chance that you will be able to find articles and information on the particular area of psychology you are interested in. Click Here to visit the Scribd website.